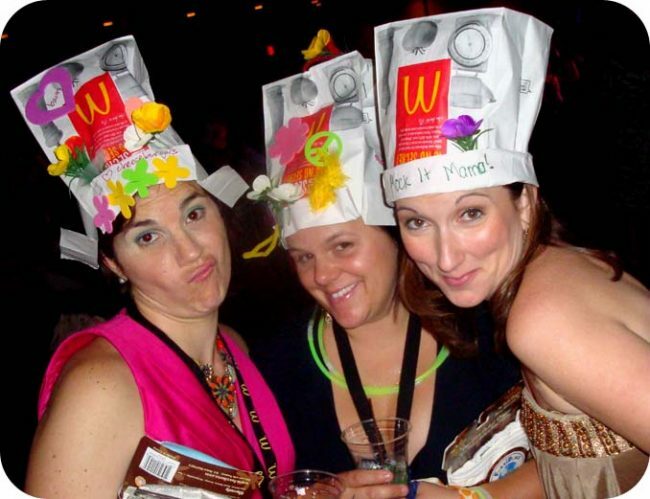 Here is the thing about BlogHer, it is about the people. All these posts I am writing to try and break it down for those who love the nitty-gritty details (like I do) are really pointing to one thing. PEOPLE. Smiling faces, knowing hugs and a big fat camaraderie buffet. That’s what it meant to me. I loved being right smack dab in the middle of my element. I think that’s why so many people come home exhausted. It isn’t that we partied too hard or had a 4 day drinking binge (and if you did, that’s your headache! ), but the fact is we just WANTED to be with each other. We wanted those conversations and hellos and smiles. Saturday was fantastic. After volunteering in the morning and attending a session, I finally walked the Expo Hall. Next time I think I would like to try and do this on Friday because many of the exhibitors were tired too! But I had fun meeting people and walking the aisles. I didn’t get too much swag there as I was already so overwhelmed, but I did write a postcard to Oscar at the Playskool booth and they mailed it for me. I thought that was really cool. 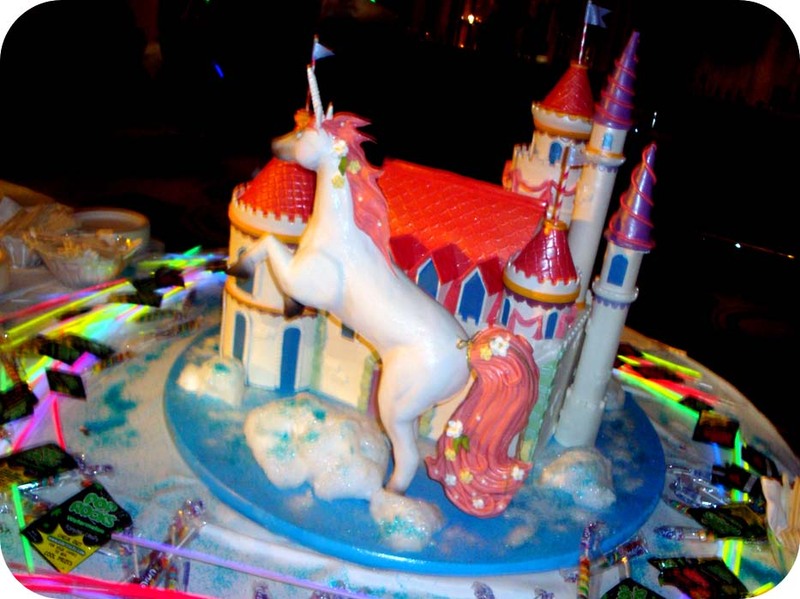 Amazing Unicorn cake from Ace of Cakes! After our dinner at Etrusca, it was time for THE parties. And I am talking Sparklecorn and Cheeseburgher. These were official BlogHer parties and therefore in the hotel. That right there was awesome. No walking. No more walking! The thing about these parties is that they were like every(most?) teenage girl’s party dream. Sparklecorn was loud music, movie star posters, unicorns and sparkles! And the dancing was OFF. THE. CHAIN. We had such a blast just really being silly and winding down. It was exactly what I needed and so much fun! And to top it off, in the next ballroom over, we had Cheesburgher, which was probably the most genius invention of mankind thus far. 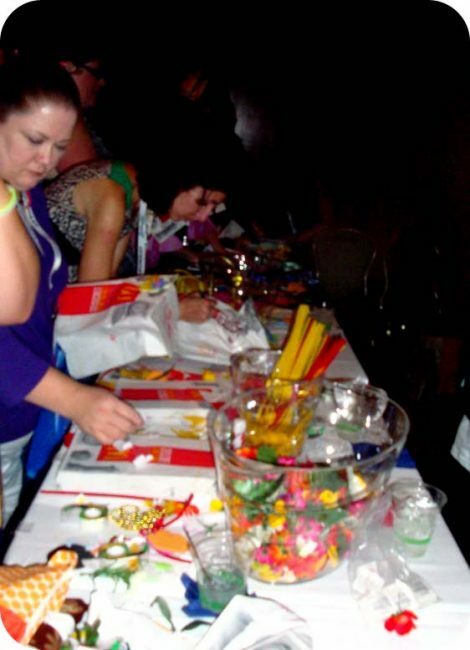 So you walk in the door and BAM, craft table. 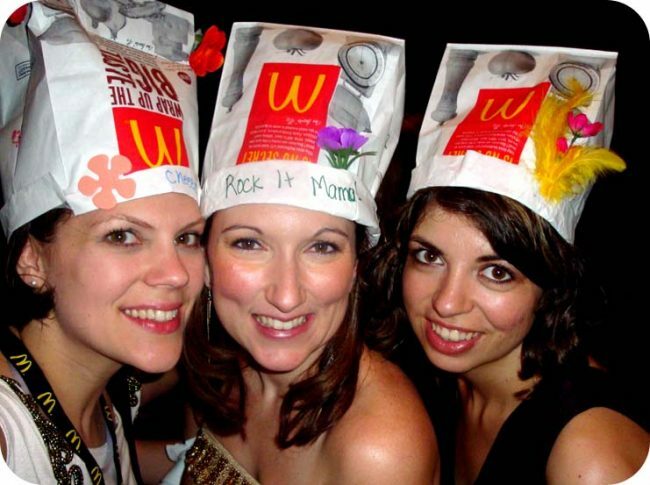 We were instructed to make our hats and there were loads of supplies. Fun! Creative! Silly! Yes, exactly the perfect ending to a crazy weekend. But wait! I see a photobooth! And trays of McDonalds cheesburgers! And beds! And couches! It was a full on slumber party. Brilliant. We had a chance to sit down and relax and actually chat! There wasn’t any networking or schmoozing. It was just fun. And I am so thankful that I had a chance to hang with these awesome ladies. 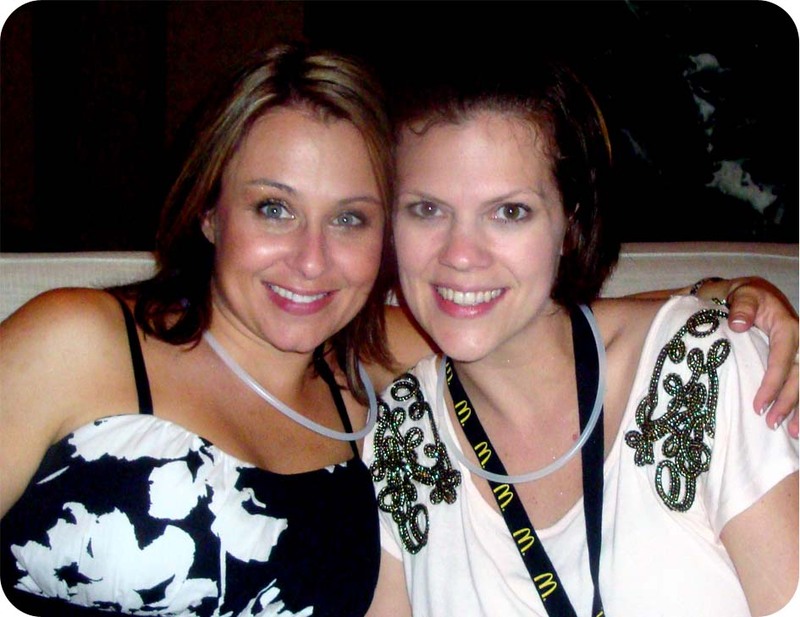 The fab women behind Mom Spark Media – Haley and Amy! So the parties. They aren’t just free stuff and photo ops. 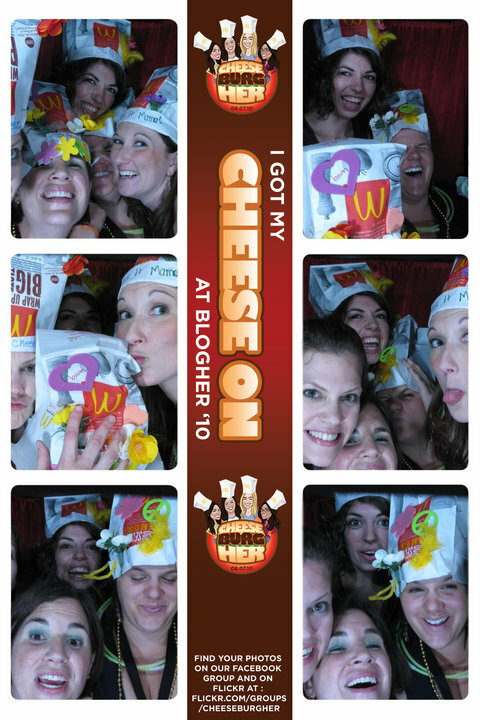 They are what made BlogHer for me. They helped me connect and relax and enjoy. With each Blogher recap post I write, I can’t believe how much more I have to say. It’s really hard to describe the weekend in words. I just know that for me, it meant something. It meant something to connect with some fabulous ladies and take a break and learn so much. And when else am I going to eat a cheeseburger at midnight anyway? Love, love, LOVE! 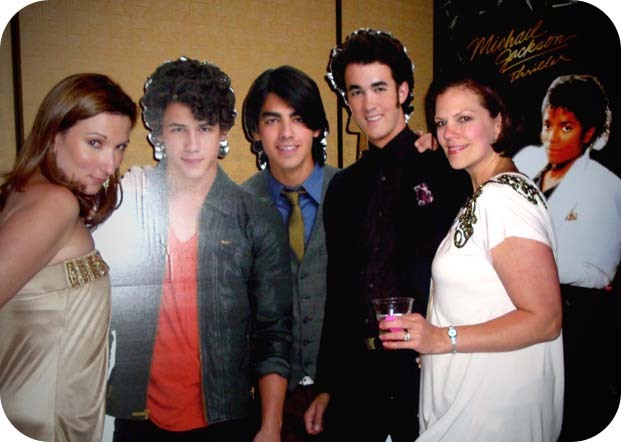 Especially you and Erin with the Jonas Brothers. And that photo booth reel is A+!!! Too fun. Also: I spy Michael Jackson over your shoulder. My hair! New York butchered my hair! You looked lovely! That just happened to be Midnight after an evening of dancing! OH, my gosh! I am so in love with you! You were so fun to hang out with! I feel like the parties bring a new level of relationship, and social media is all about that right? 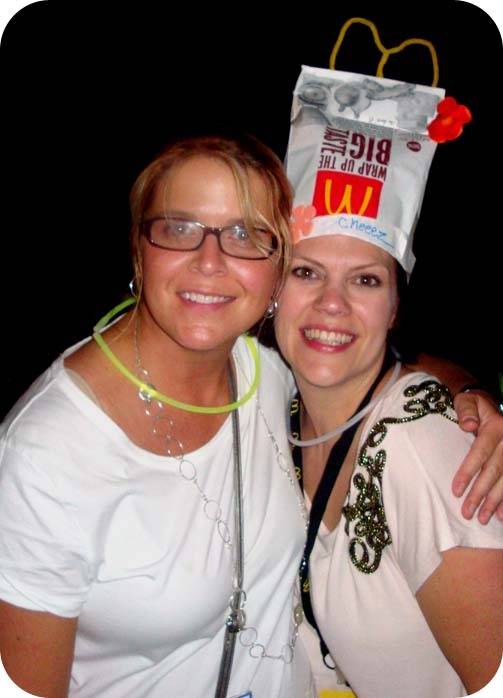 I mean, after you pose for a photo with a cheeseburger hanging out of your mouth, and all that craziness, there's a bond, ya know!? And I also love that you sang with me on camera today! So enjoyed meeting you. 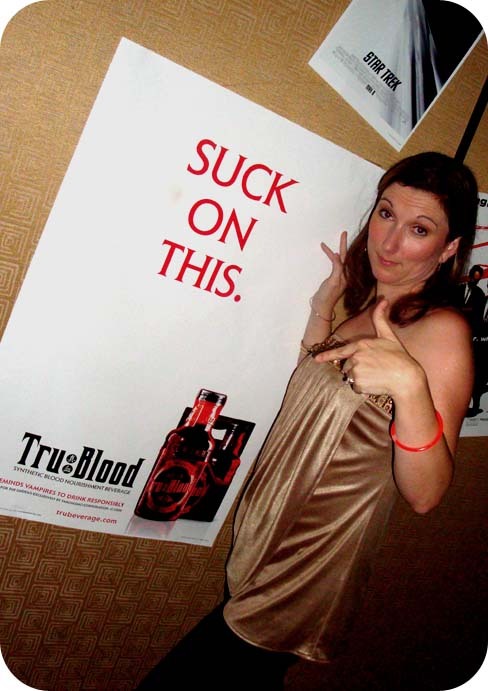 BlogHer is all about the people. Party for the People! I did the Expo Hall on Sat from 3 -5. Not a good idea. Many vendors were tearing down. ah, the photo booth! I so wanted to take a photo but i didnt want to lose my bed. lol. I’ve glanced at various of your current blog entries and I had been curious about if you wanted to swap blog links? I am often looking to swap links with websites on related subjects! I look forward to hearing back from you before long.